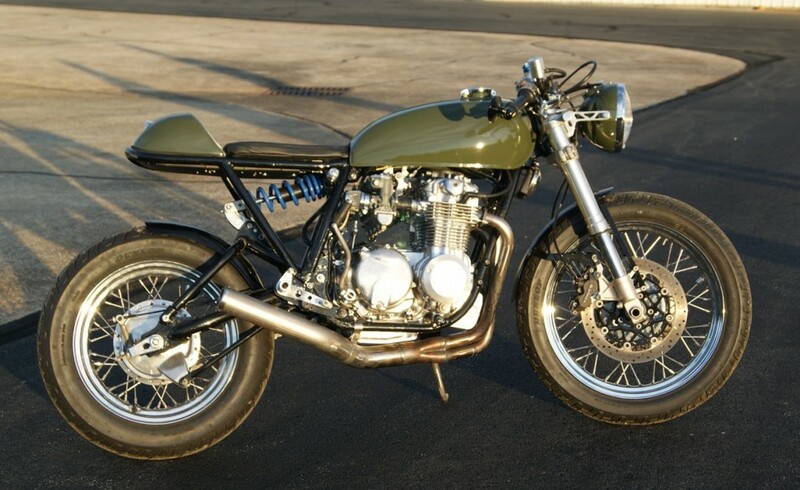 Honda’s four-cylinder middleweight, the CB550, is one of our favorite platforms for a cafe racer build. 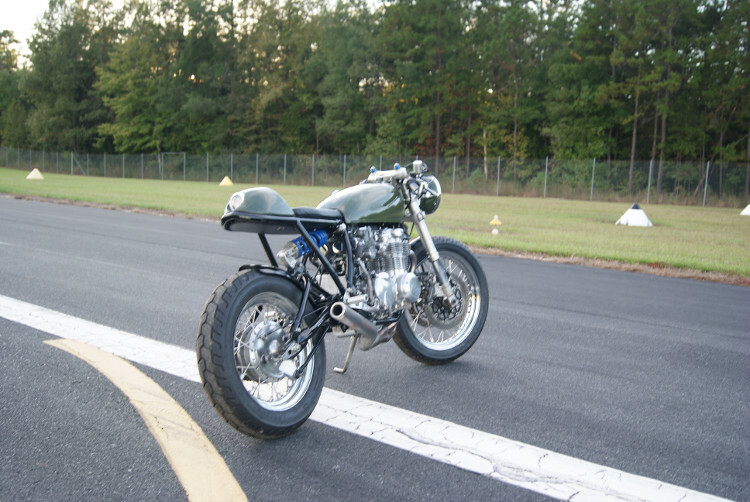 While the air-cooled SOHC engine doesn’t have the same punch as that of the CB750, the 550 Four is nearly 50 pounds lighter than its larger sibling. 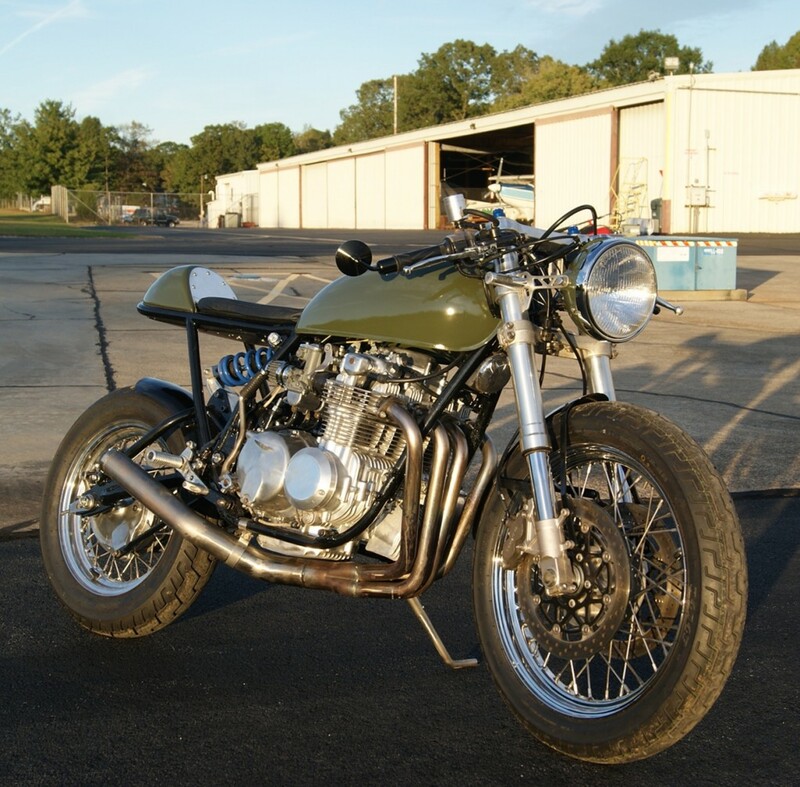 The combination of power, weight, and agility in the CB500 is simply hard to beat. 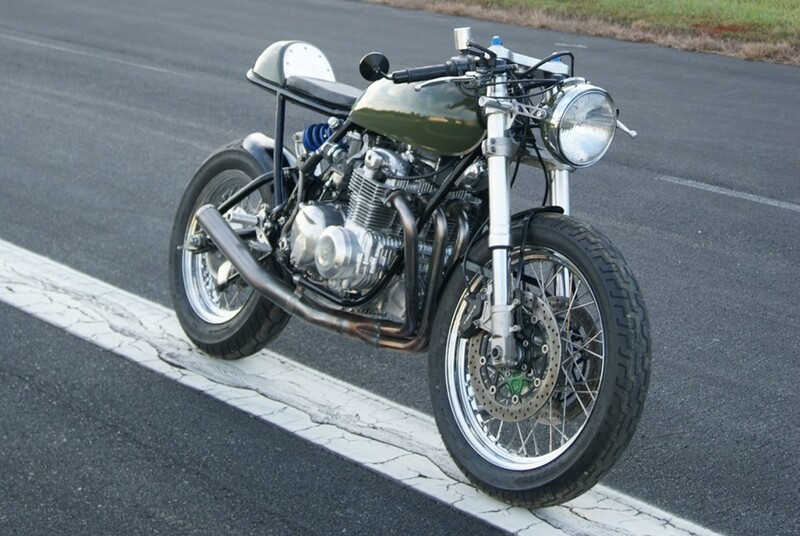 Enter Mattias Bunn and his father, Mike, who built this CB550 cafe racer in their home garage. This was Mattias’s first build. 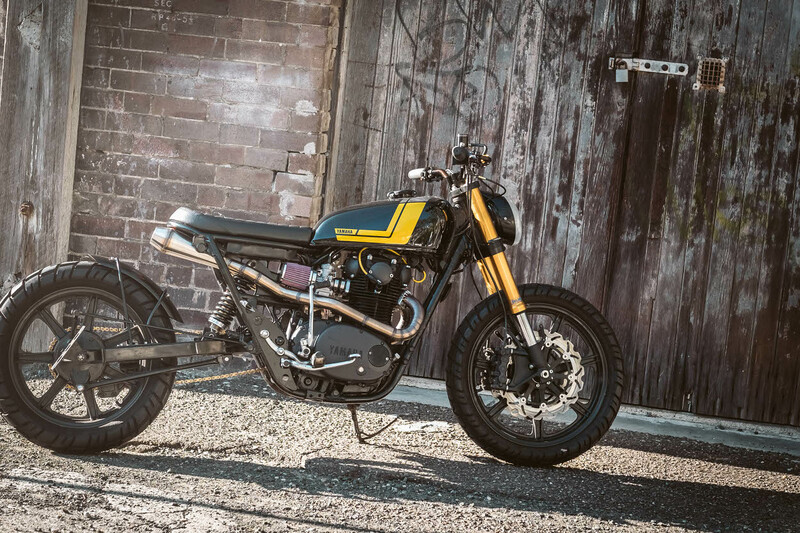 Whereas many young first-time builders content themselves with a brat seat and pipe wrap, Mattias and his father had the ambition and skills to carry this project much further. 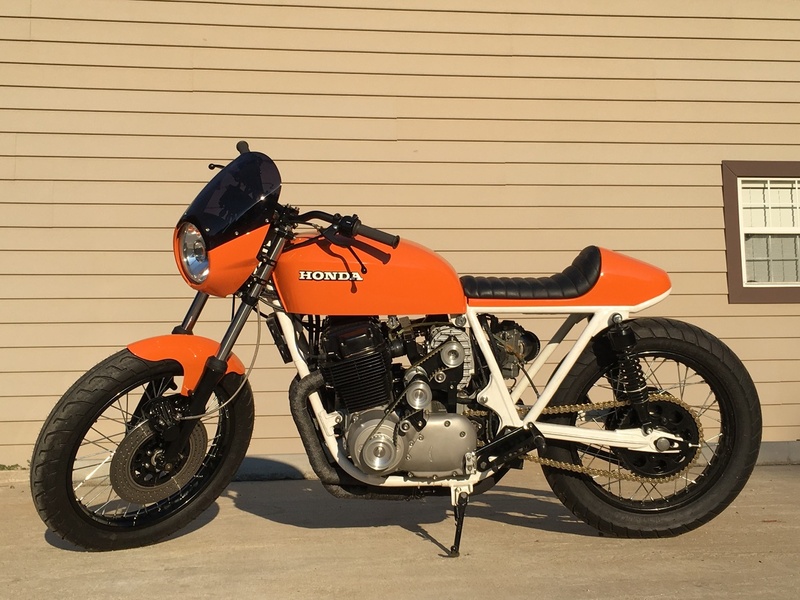 The monoshock conversion is their own design, milled by Mike himself, and the GSX-R750 fork conversion was completed with parts from one of our favorite shops, Cognito Moto — the hands-down leader in USD fork conversions on vintage bikes. We can’t wait to see what this young builder and his father accomplish next! 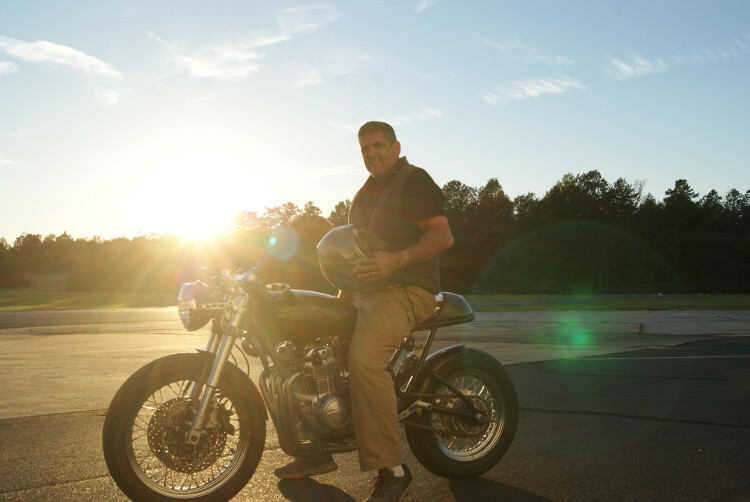 My name is Mattias Bunn, my father, Mike, and I have been working on our bike for a few years. 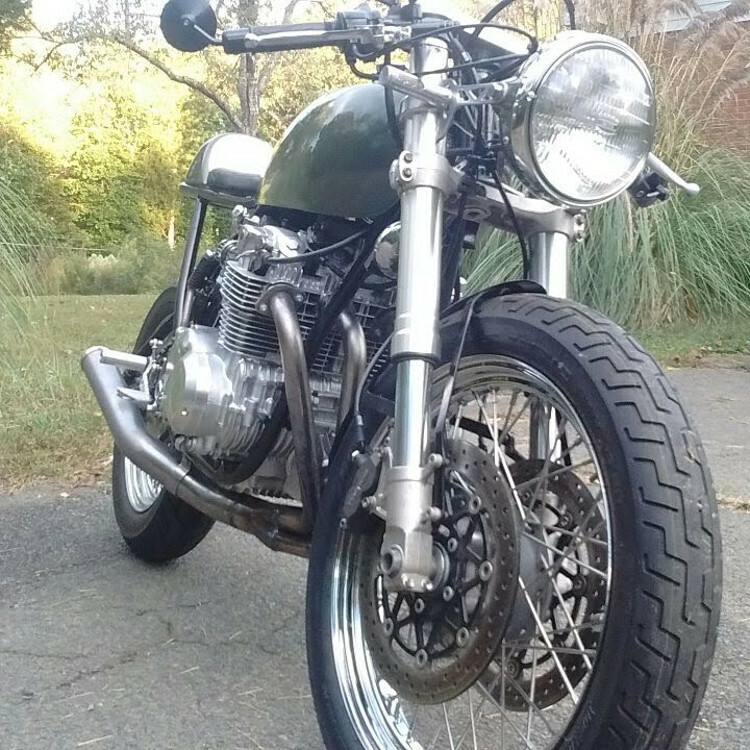 For me it is my first bike that I’ve worked on and I think it has been a good first project. We have been doing it on our own in our garage with our tools and some from my dads’ job at a hangar where he is allowed to use things if he has personal projects. 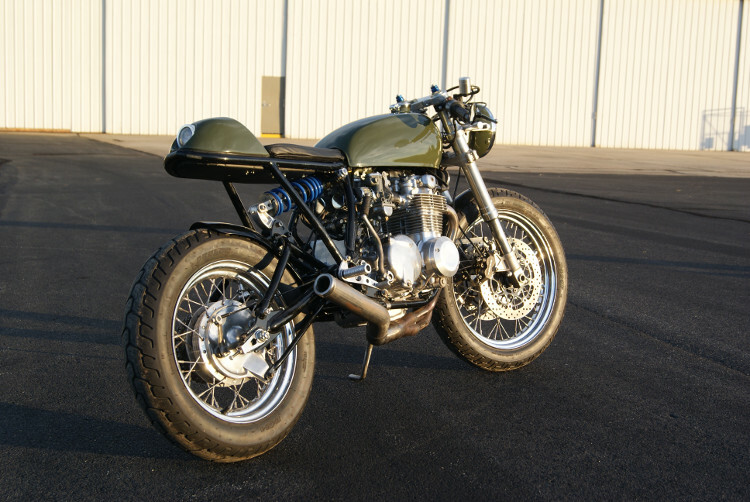 The bike is a 1975 Honda CB550. 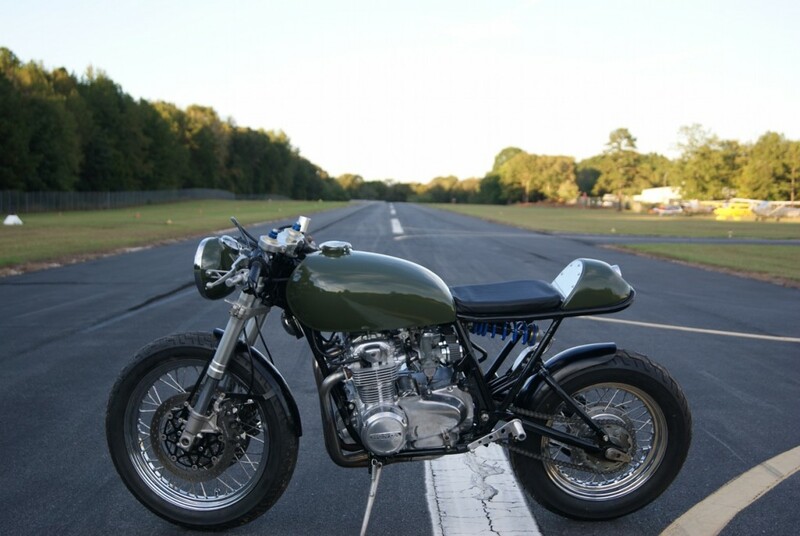 We built the bike as a personal project. 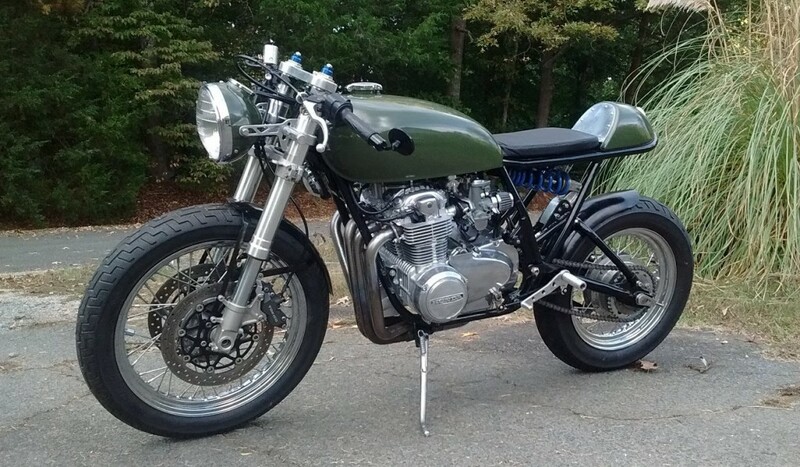 The design of the bike was based a lot off of other Cafe Racer builds but for much of the bike my dad and I found it necessary to adjust the lines of the frame and the seat and such. The seat frame was custom welded by my father, the single spring system was created by him and he milled the pieces for it himself. We used a mod from Cognito Moto to fit a set of 1999 GSXR 750 front fork to the bike. We rebuilt much of the engine and had the carbs professionally adjusted. 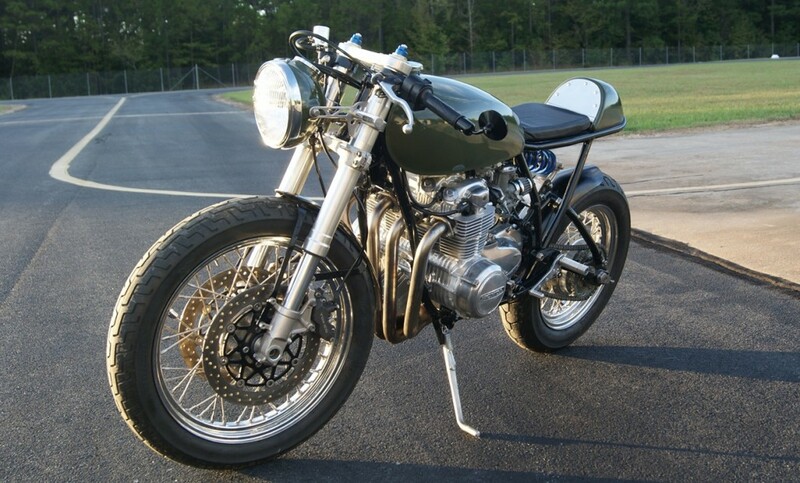 The bike is a Cafe Racer. Milling the rear spring system ourselves was very cool. Very cool build. 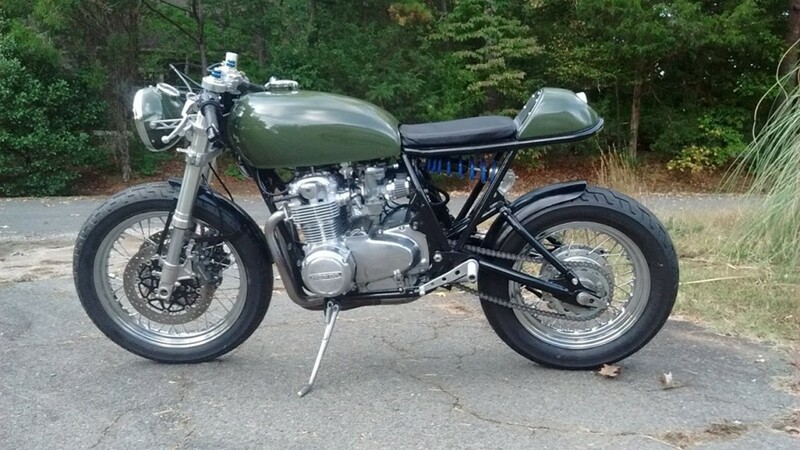 I’m doing a cb450 cafe myself. Hoping to be done next summer.